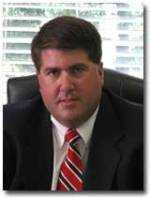 Jim T. Bennett has been a member of the State Bar of Georgia since 1998. Jim graduated in the top ten of his class from the Walter F. George School of Law at Mercer University. Jim’s primary practice areas are Domestic Relations/Family Law, Personal Injury, Workers’ Compensation, Criminal Defense, and Wills and Probate. In his spare time, Jim has taught legal studies courses at Valdosta State University. Jim has served as a volunteer youth baseball coach for the last 10 years. He is a member of Park Avenue United Methodist Church in Valdosta. Jim is married to Lori, a teacher at Lowndes High School, and they have three sons: Austin, Sam, and Cole.